New Album, Songs For Singles, Out Now on Hydra Head! Watch Part 1 of Torche on Fox Red Eye here! // Watch Part 2 of Torche on Fox Red Eye here! Check out the video from Monday night's episode of Fox Red Eye featuring Torche's Steve Brooks and Jonathan Nunez above! The first video includes an intro by Red Eye's resident doom metal expert, former presidential hopeful Mike Huckabee, who, extolling the many virtues of Torche, says they're "the world's greatest band" and "heavier than something really heavy like a tractor or something." In the next video, Gutfeld interviews the band members, asking the openly gay Brooks "Do you get lots of groupies?" at one point and later adding, "I could smell David Lee Roth coming out of you." See how it's handled (above). 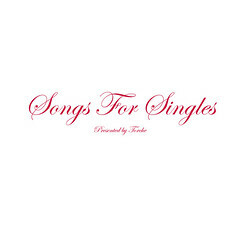 Stream "Songs For Singles" here!